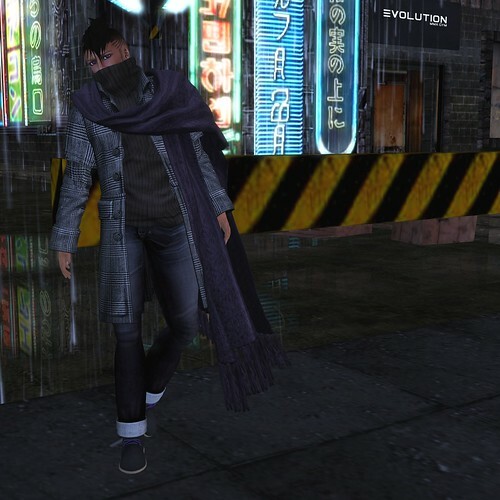 So if it’s not already apparent, I’ve somewhat stepped aside from SecondLife and the fashion scene within. 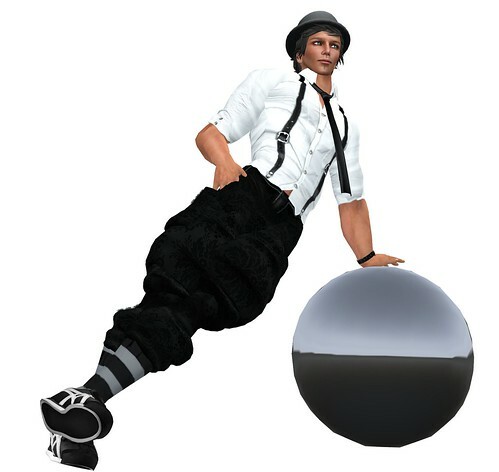 It comes down to a simple statement of, “Not enough time and not enough desire to continue blogging.” SL was the water that fed my thirst for fashion when I was just a seedling. I always loved going to the fashion shows to see what new menswear designers were putting out and how they followed RL trends or created trends of their own. I actually hopped on to noticing the RL trends because of SL. My RL closet and Gilt Groupe are beaming with a smile from ear-to-ear because of that. I’ll always love fashion and that love will carry me throughout my future days, but these days it doesn’t include SL fashion. Often I log in, clear notices, check notecards, and log right back out (in fact I did it tonight). My time these days is all taken by sports (soccer and kickball) and the things that aren’t getting done while I’m out being a sporting lad. I know I never really posted all that much on here anyway, but I figured I’d give it an official send off. Designers, keep pushing the limits of your creativity and never give up the fight reach the perfection of your creations. It’s always appreciated in more ways than one. And always remember that for every dress you sell, there’s most likely going to be a man that needs a great outfit to not look like a vagrant with system shoes/hair/skin on next to her. With that I bid you adieu, adios, aufiderzein, and goodbye. I know it has been a while since I strolled through here, but I have a humbling reason to stop by tonight. The news of the 9.0 earthquake in Japan followed by tsunami lit everything from telephones to social media on Friday. The damage cost and death toll are still rising. The threat of nuclear meltdowns may still be on the horizon. The amount the Second Life community gives and has risen to the occasion in the past for Haiti, Queensland, Relay For Life, etc. is incredible. Please go. Please give. Please love. Please remember that there is no force stronger than nature. In September 2010 $11,000USD was raised for the Pakistan flood crisis relief fund (UNICEF) at an SL event. An event organised in four days. This is an example of what our community can do, and we are attempting to prepare for a similar, simple but effective, event. We are calling for anyone who wishes to help with this fundraiser. We will be providing vendors that donate 100% of sales to a charity account (Charity Shelter) for people to place in their stores and at an event location slurl here. The products in these vendors don’t have to be new, but the more new and exclusive items available the more money we will raise, so even a variation of an existing product is appreciated. 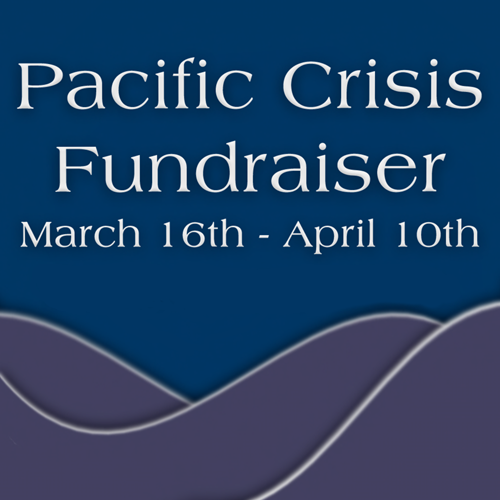 Please note that 100% of all money raised will go to the charity Americares. Land was donated by Glam Affair and all volunteers are giving their time without charge. Good day everybody! I’m back at it again. I’m forcing myself to blog today because there are so many items in my inventory that are just sitting there asking me to blog. It’s like a giant bird’s nest with little baby birds peeping to be blogged. For the look I’m tossing at you today, I thought I’d go a little lighter than normal. Most of my posts tend to be a bit on the darker side and, as I look outside where there’s snow as far as the eye can see, I thought I’d try to blend in and get a little lighter.